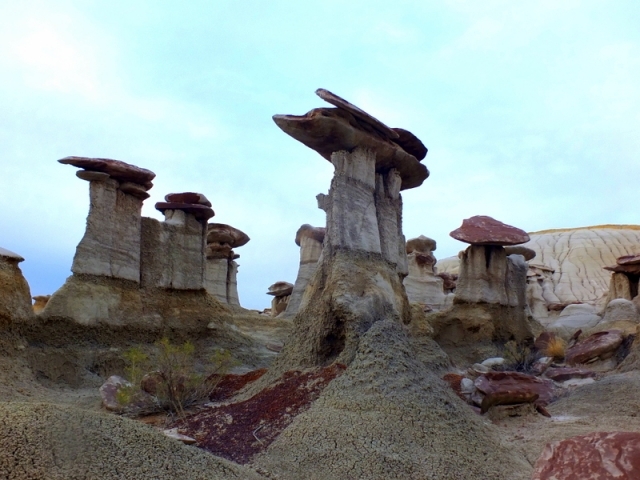 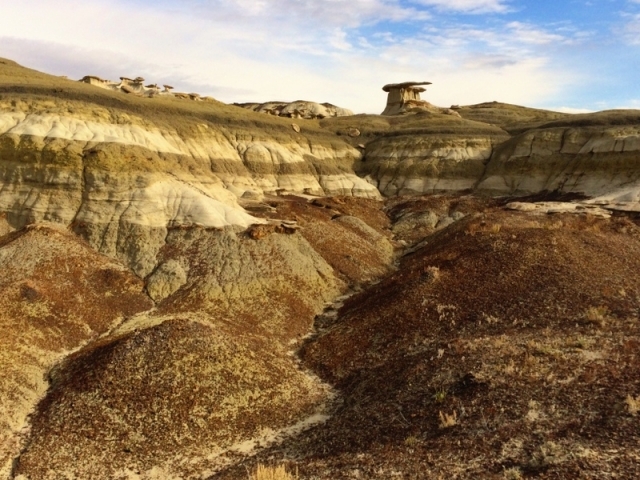 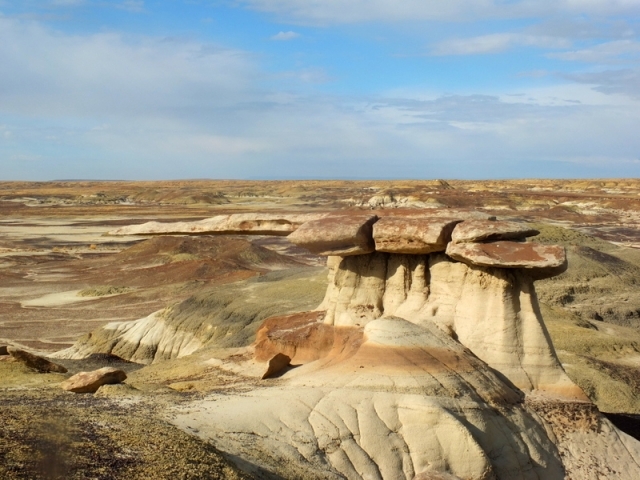 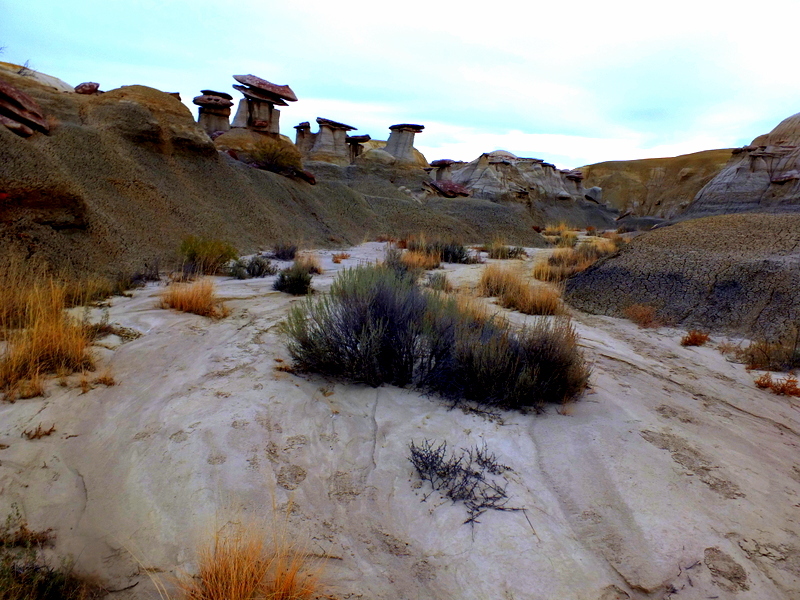 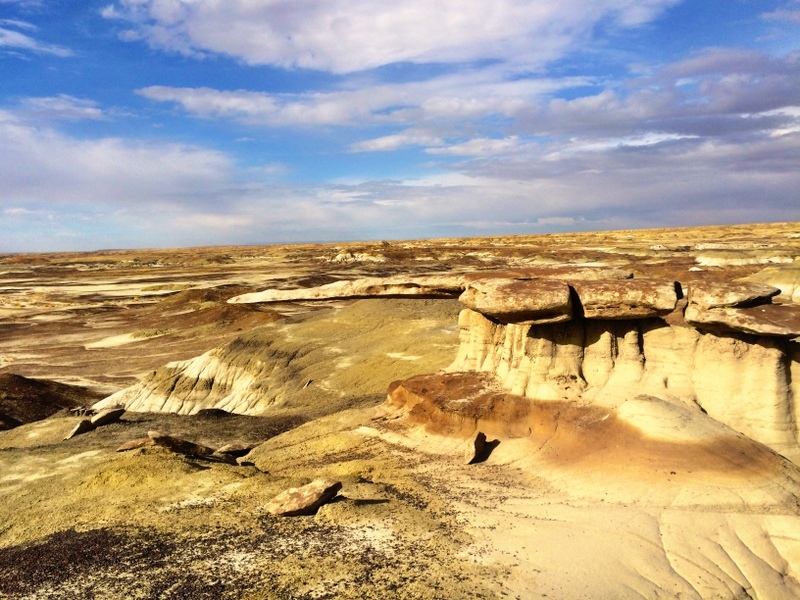 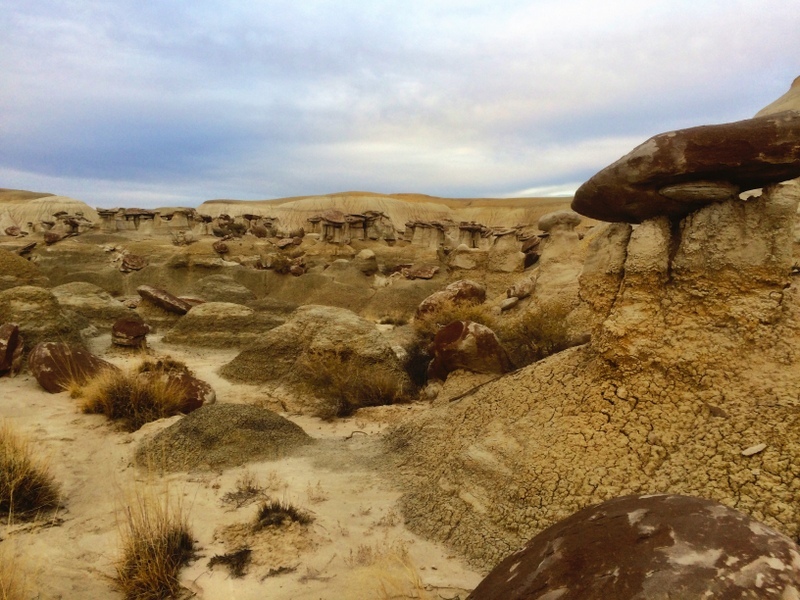 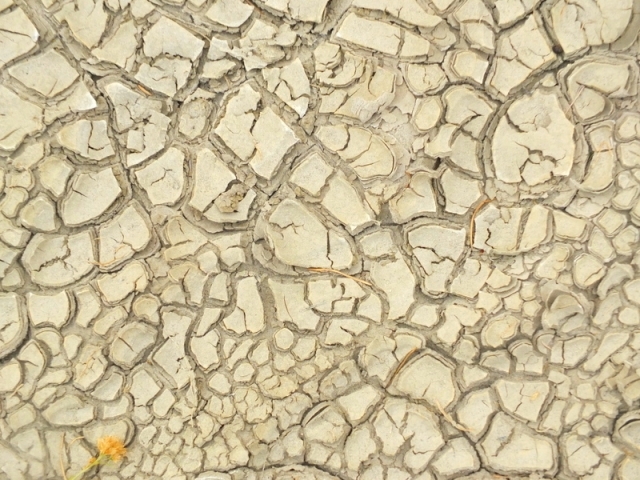 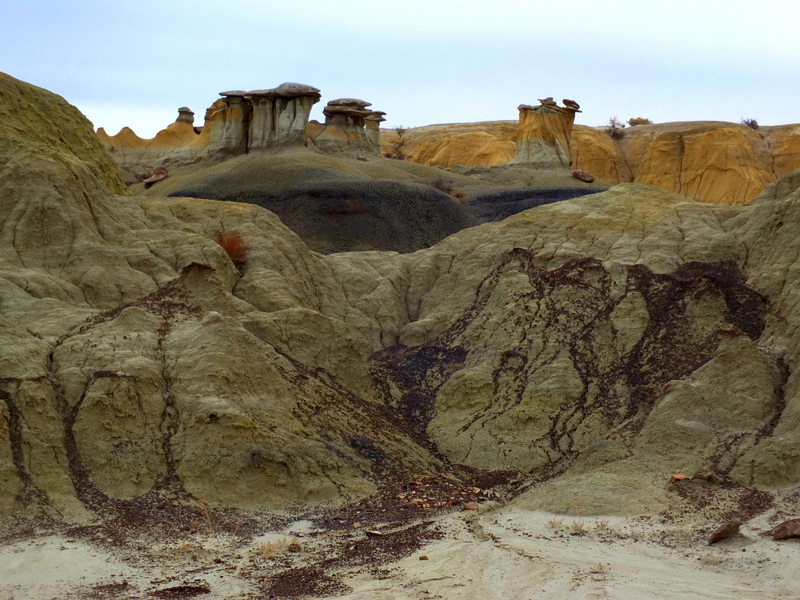 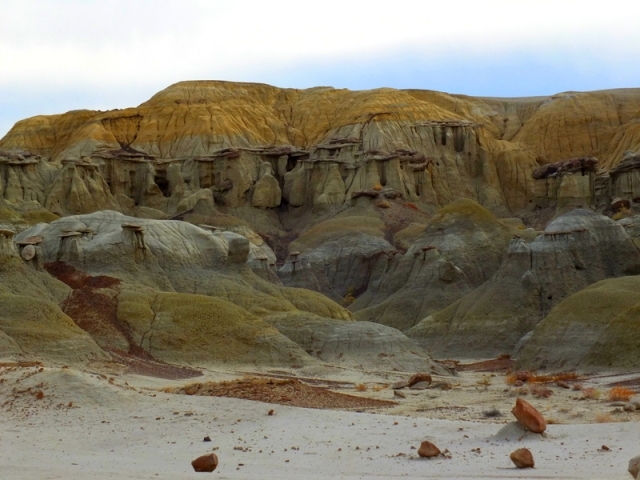 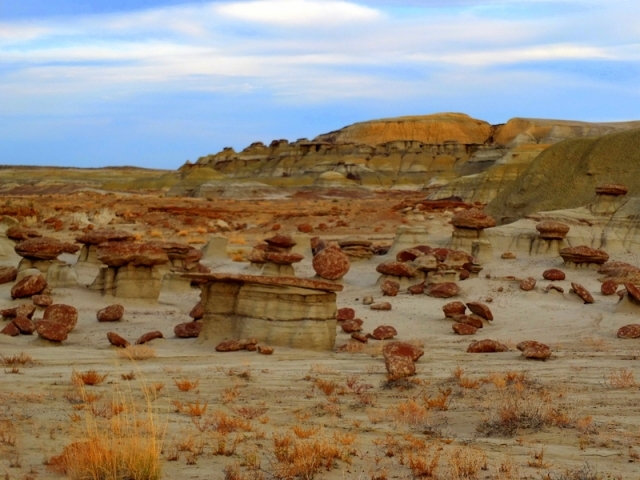 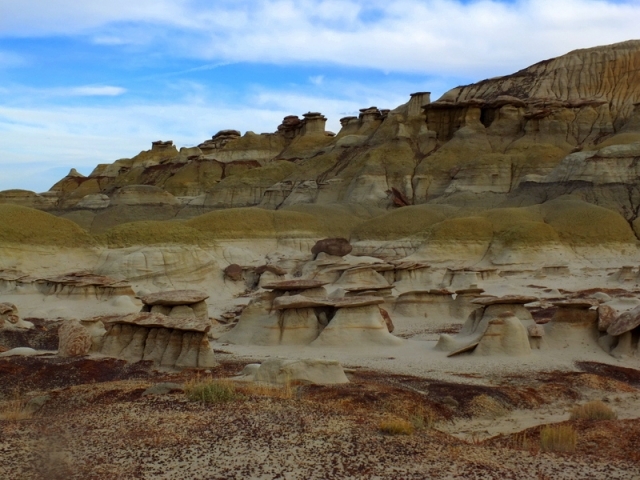 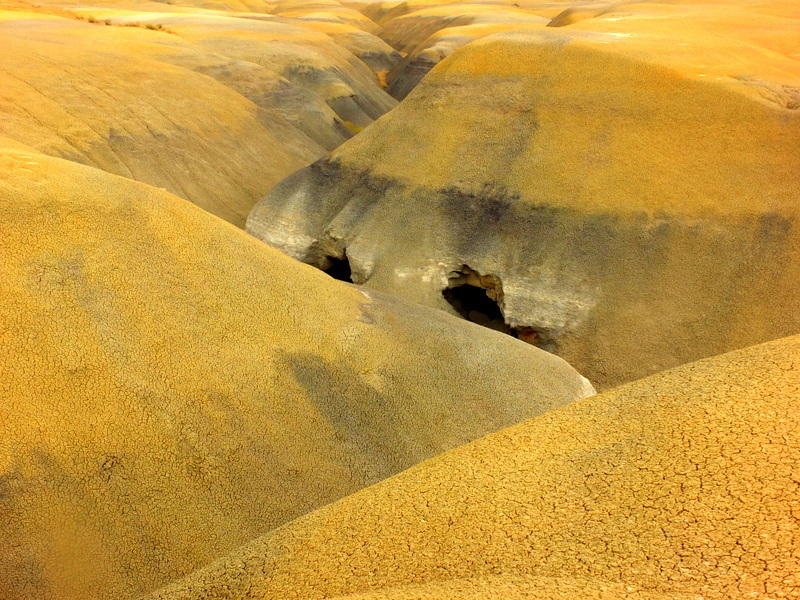 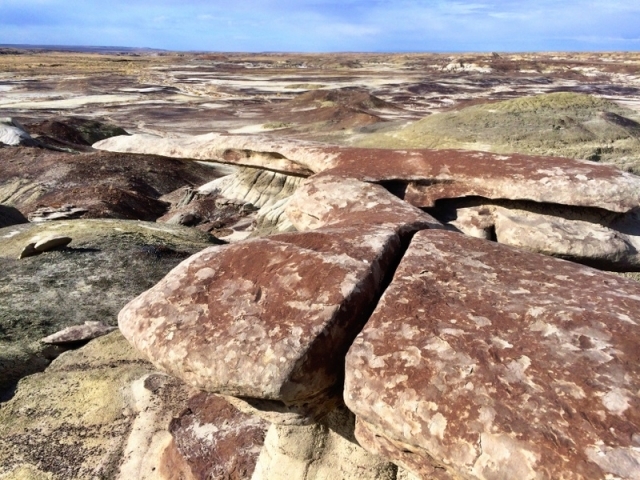 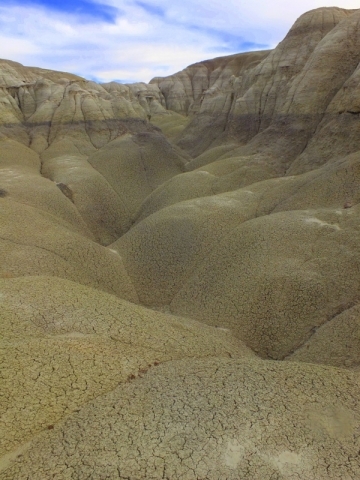 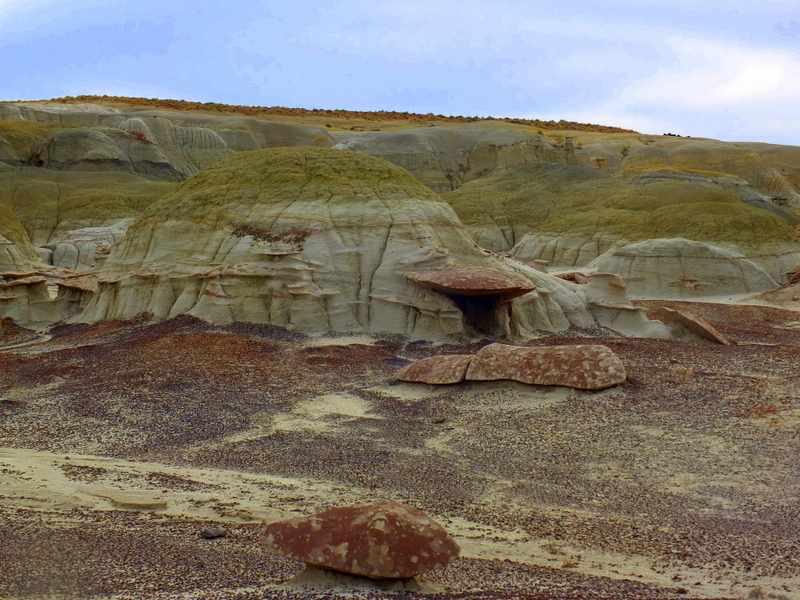 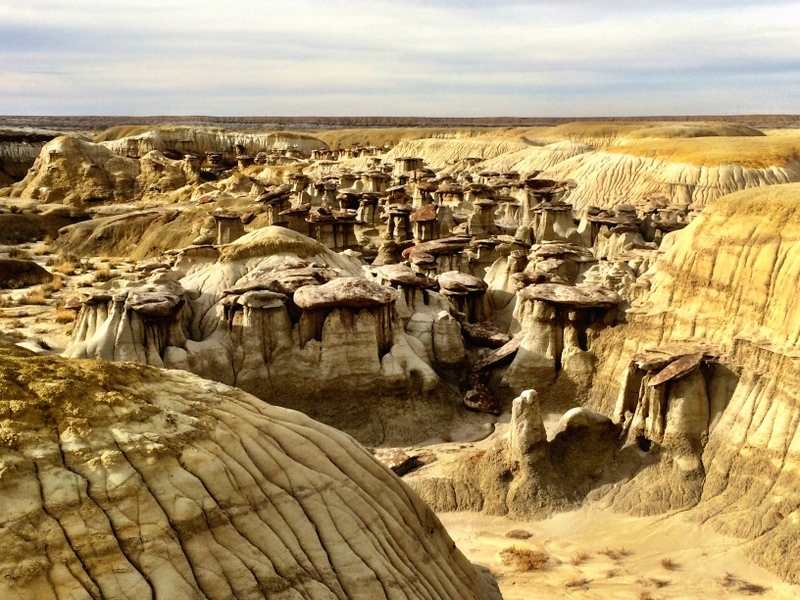 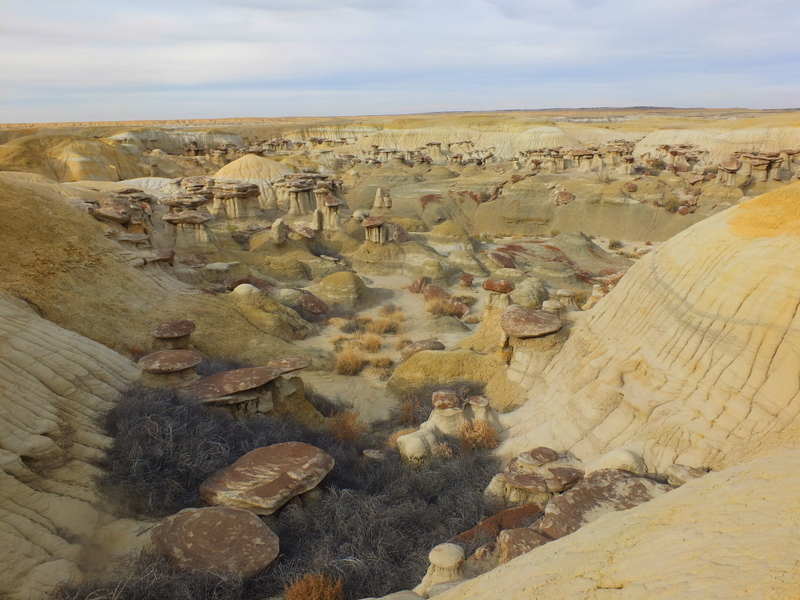 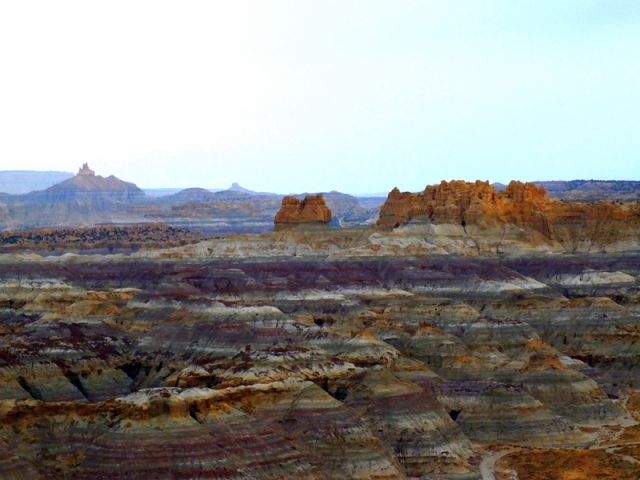 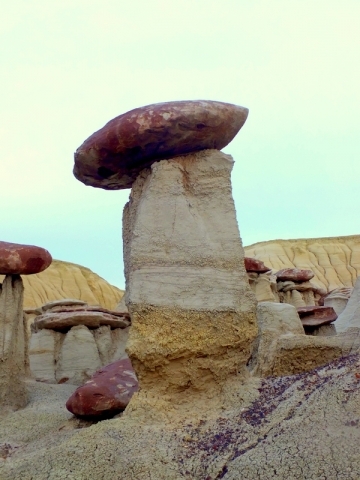 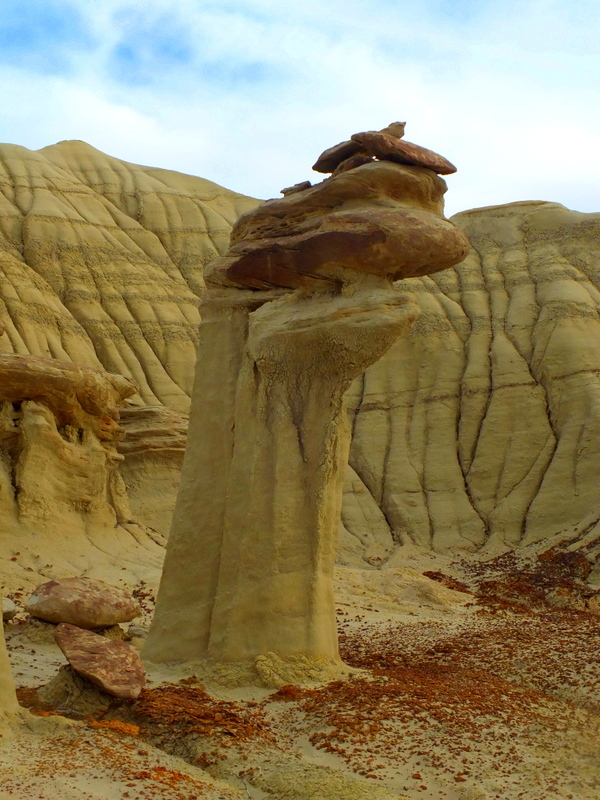 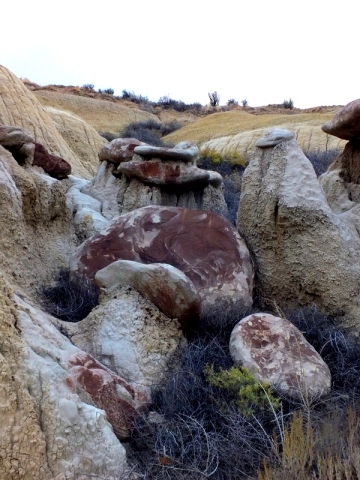 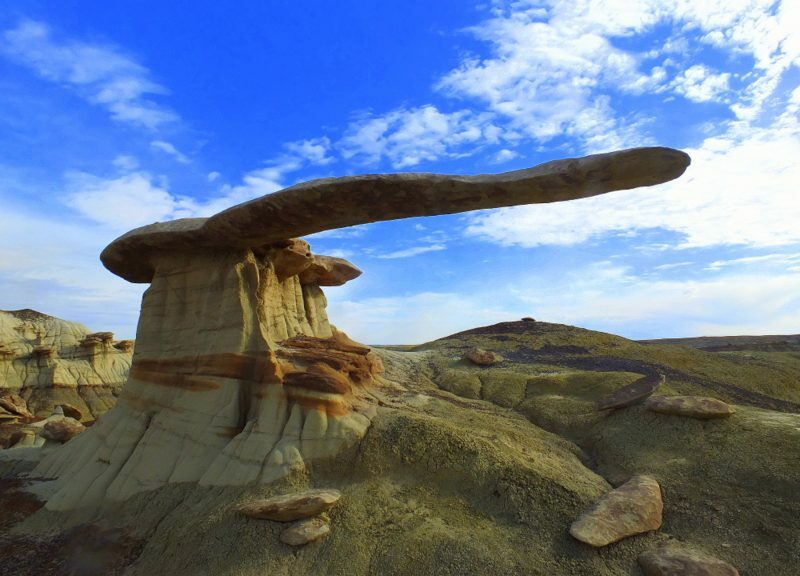 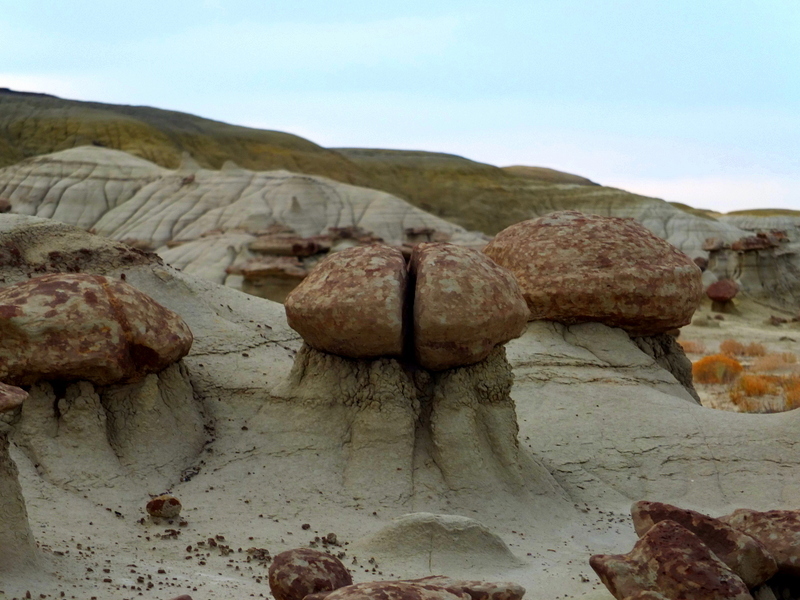 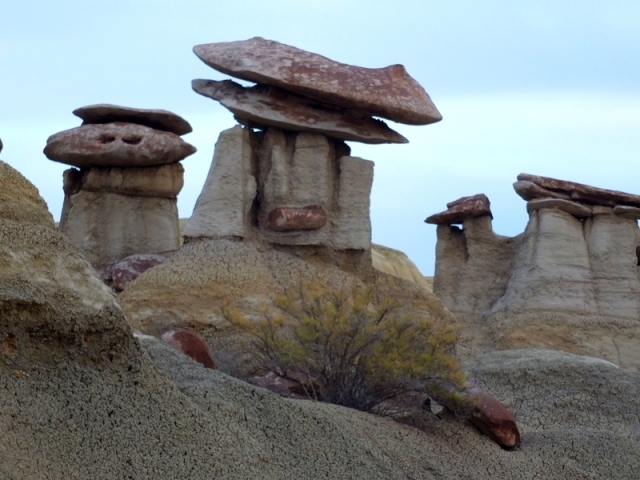 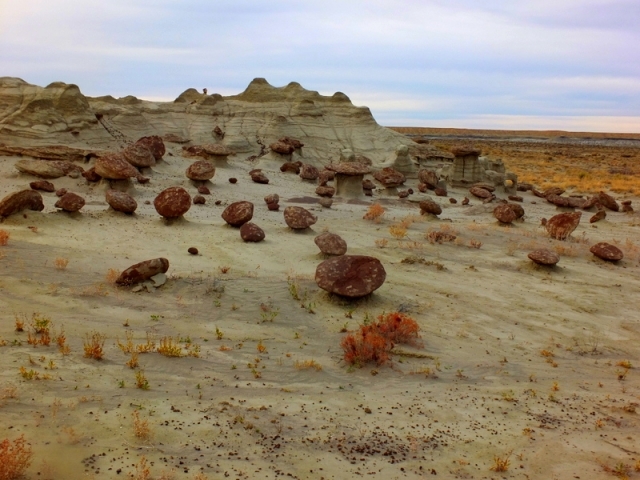 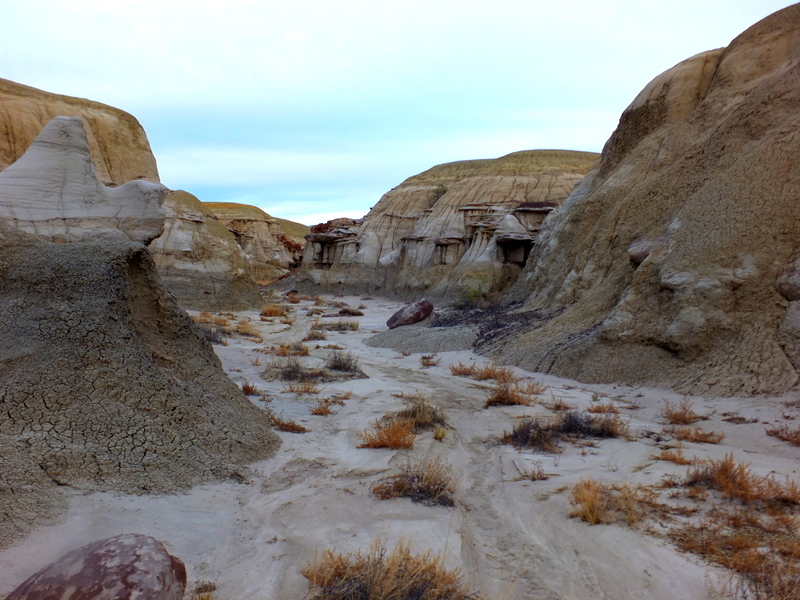 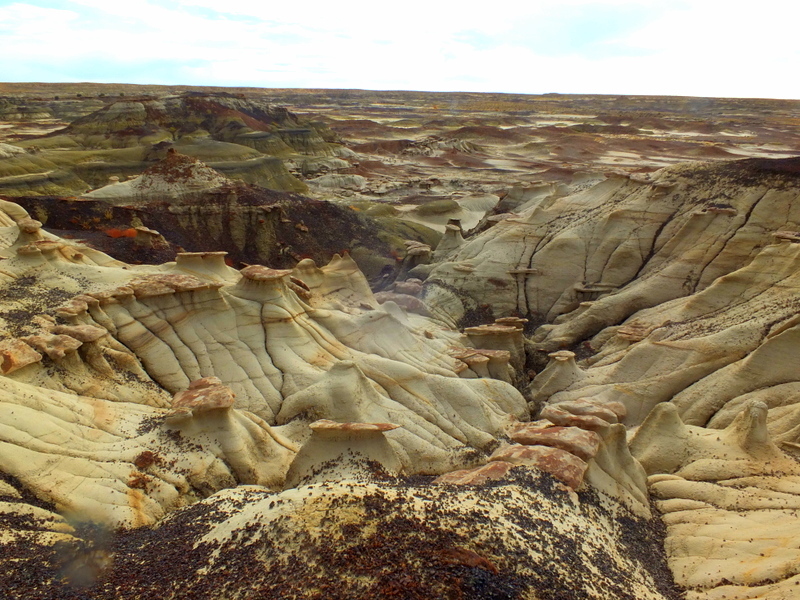 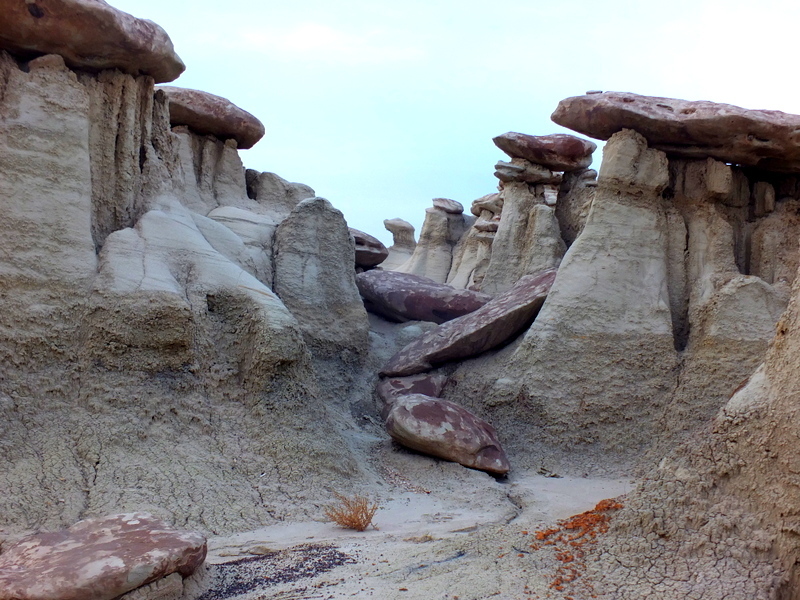 Hiking across the landscape of the San Juan Basin Badlands is a hike on crazy lands. 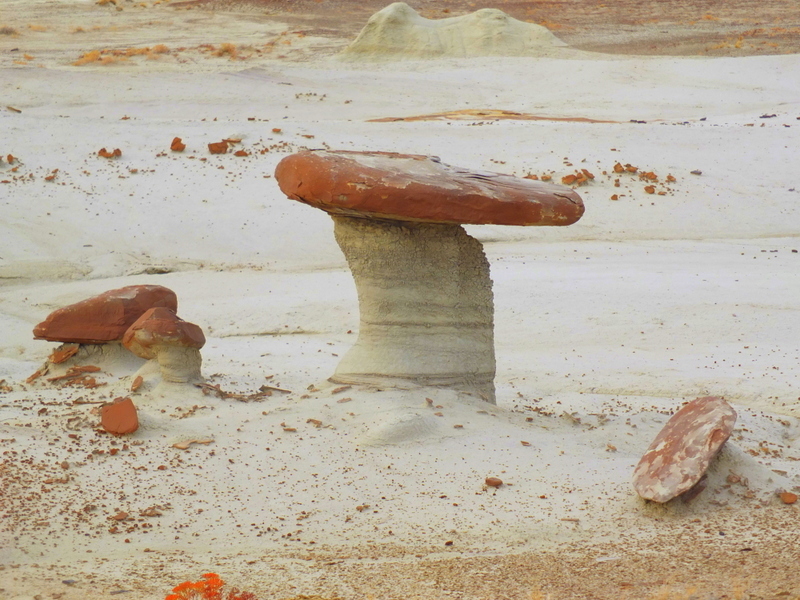 More and more unreal rock features and earth sculptures are found over every rise and around every bend in the seemingly endless washes that make up the terrain. 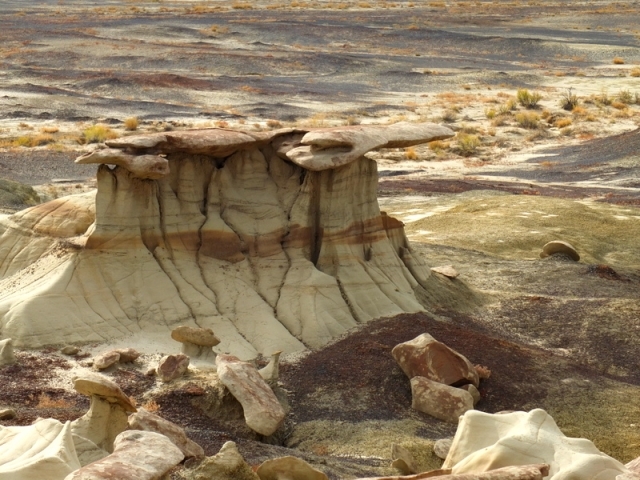 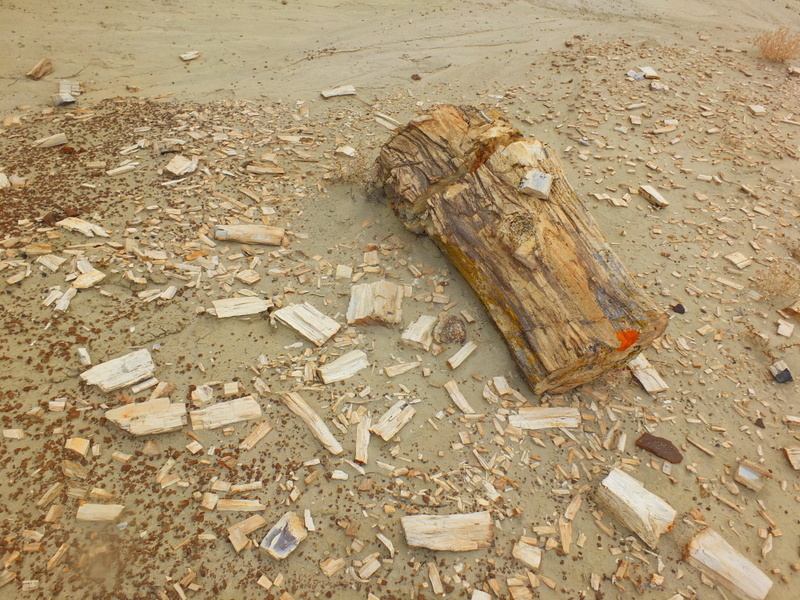 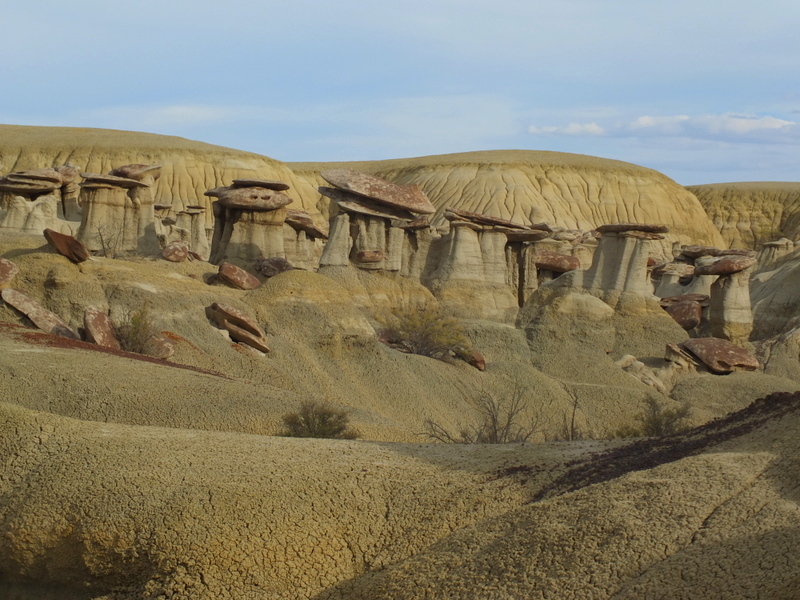 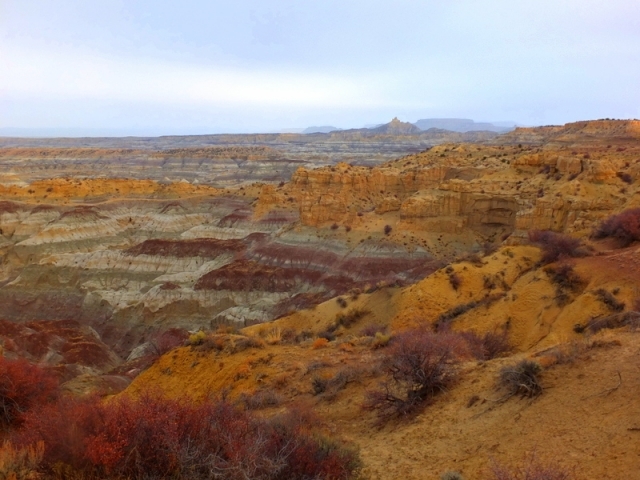 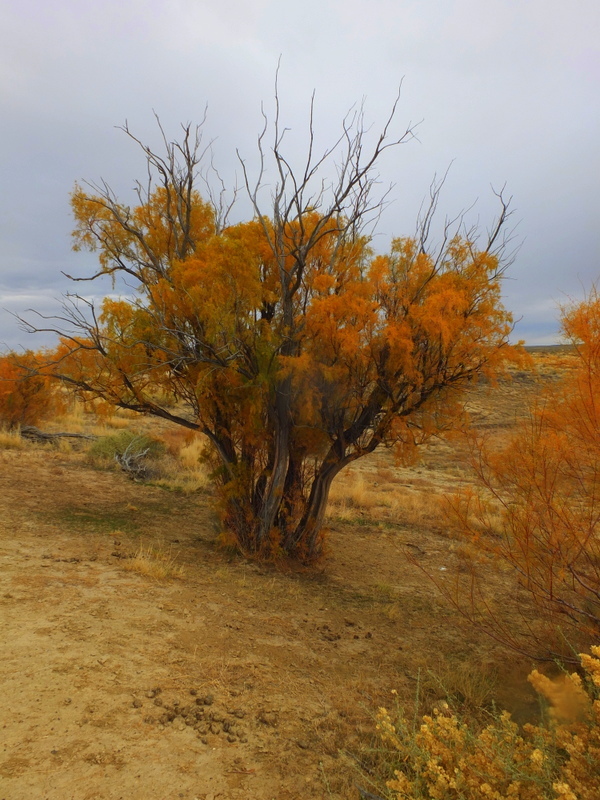 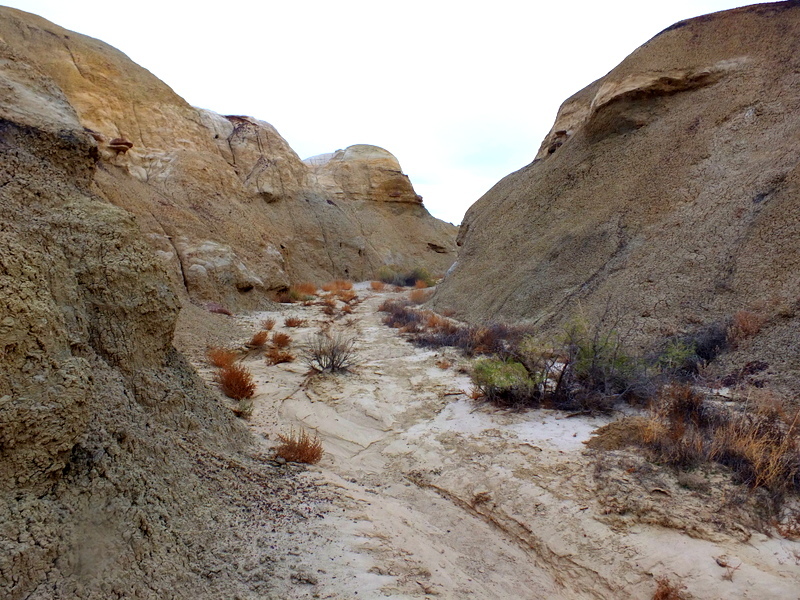 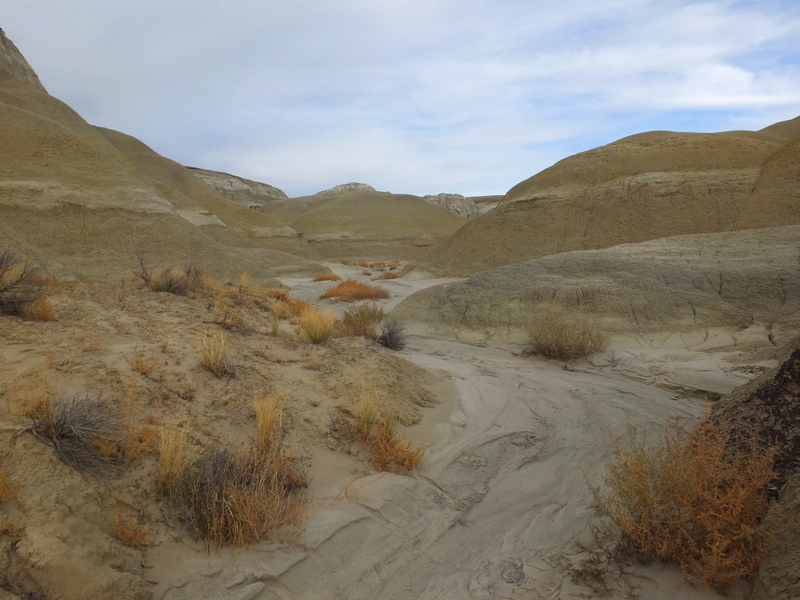 This particular ramble was in an area of the San Juan Basin Badlands called the Ah-Shi-Sle-Pah Wilderness Study Area. 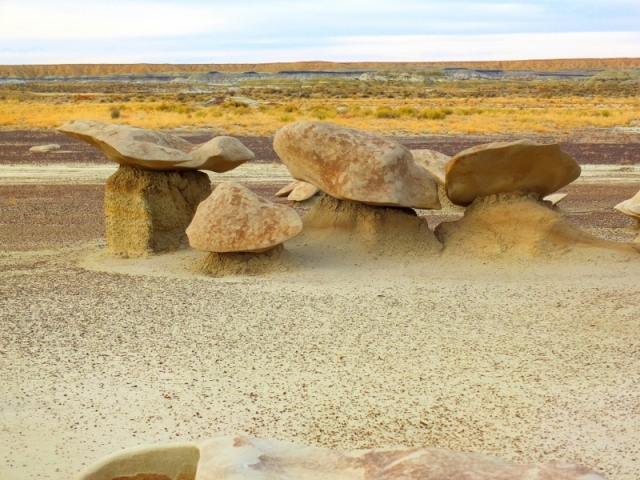 It is located just to the north of Chaco Canyon National Park. The land management pattern for this country is as wild as the terrain itself — it consists of a patchwork of private, tribal, National Park Service, Bureau of Land Management, and National Forest jurisdictions. 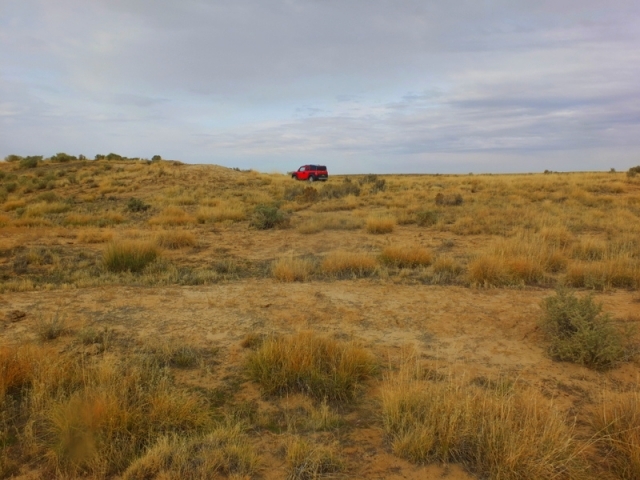 There are quite a few roads owing to mineral and natural gas extraction in the area, but fortunately they don’t tend to disturb the badland areas much. 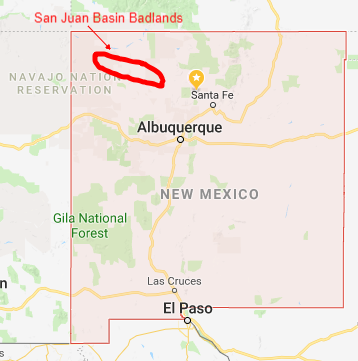 There are a number of resources out there on the area but I used a website called americansouthwest.net as my guide for picking a place to hike and getting there. I found it to be a helpful source for navigation waypoints — the trails, if they exist at all, are very sketchy. I put navigation skills to use that I hadn’t employed much since I was a scout in the army many moons ago. 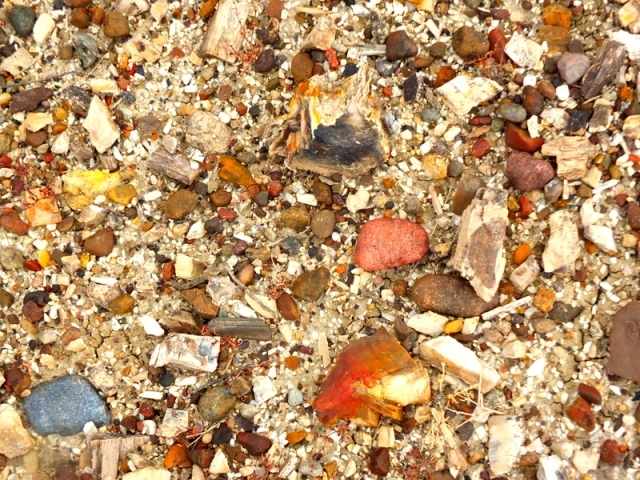 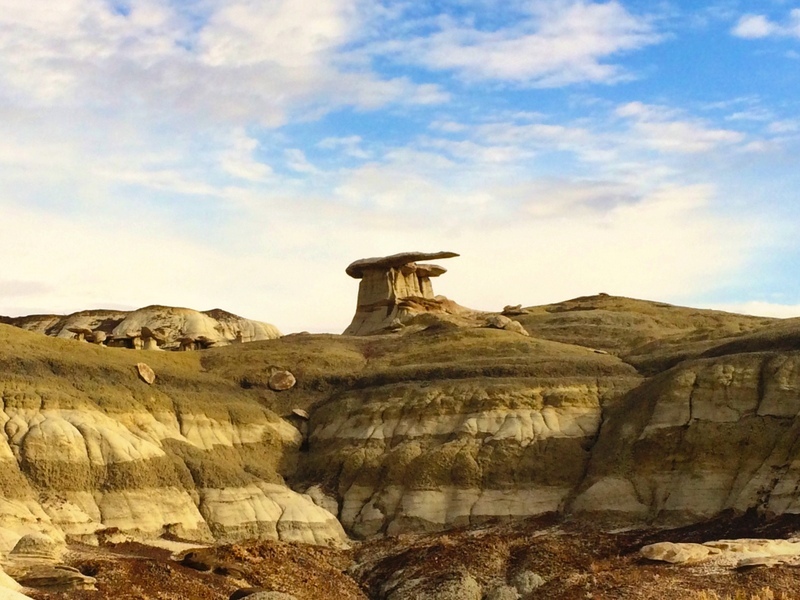 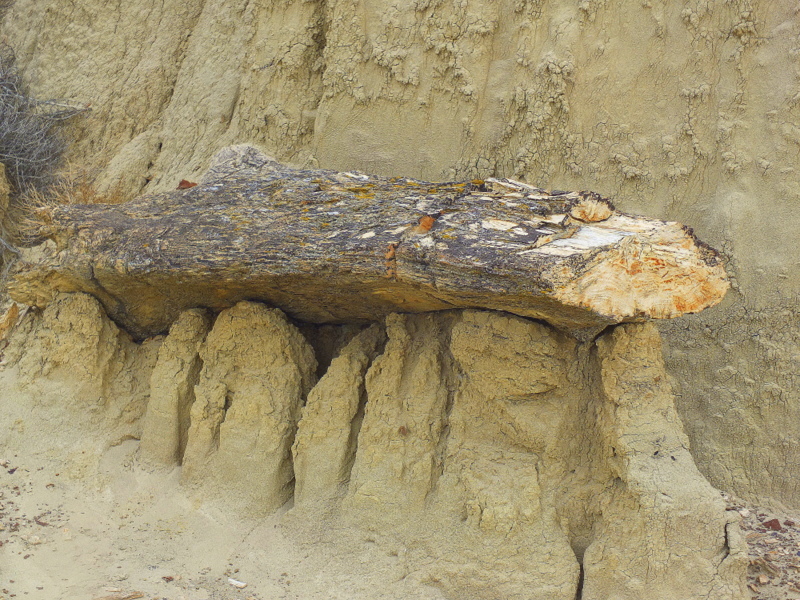 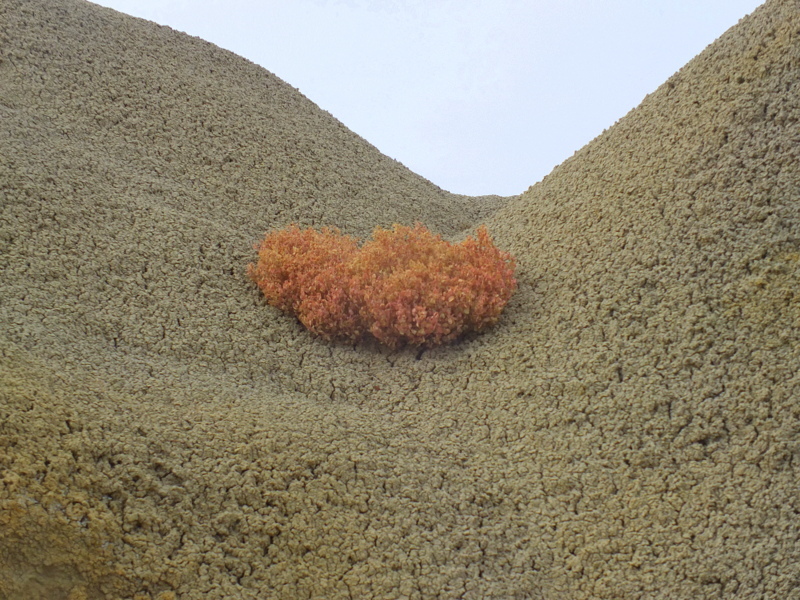 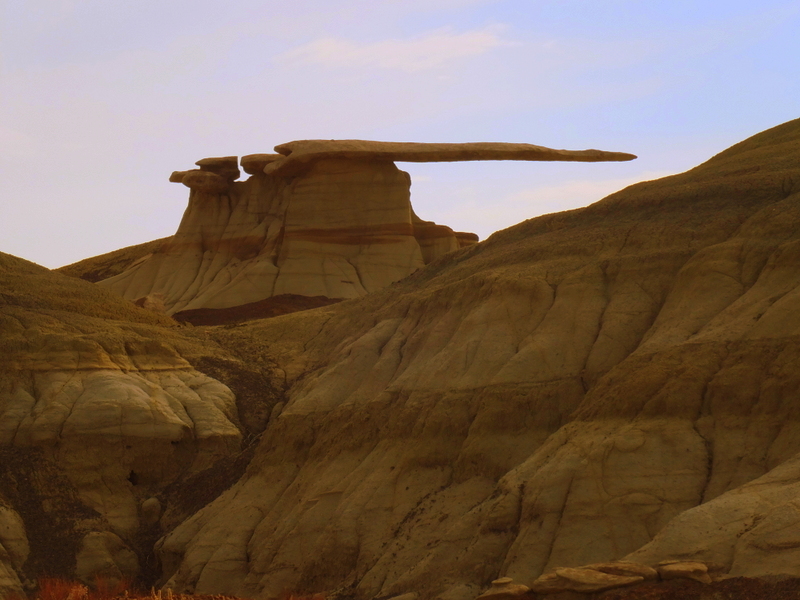 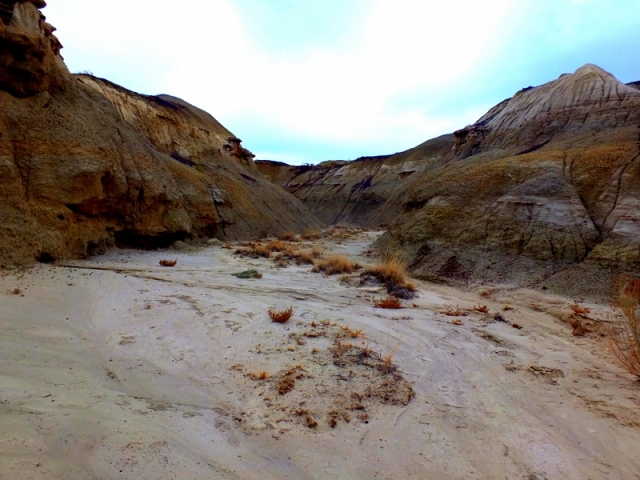 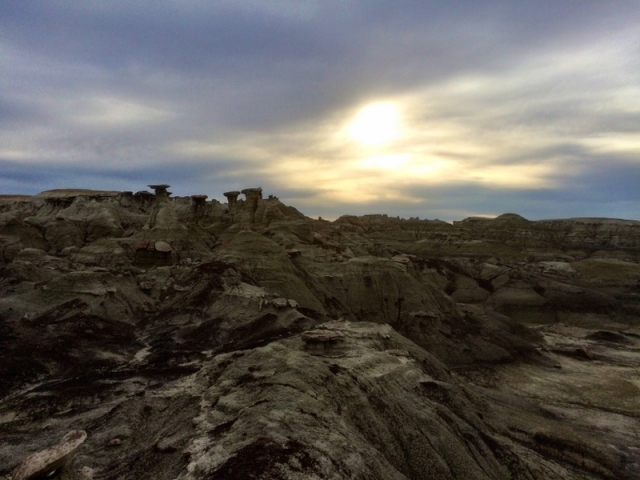 The website is also a good resource for learning about all of the areas throughout these badlands. 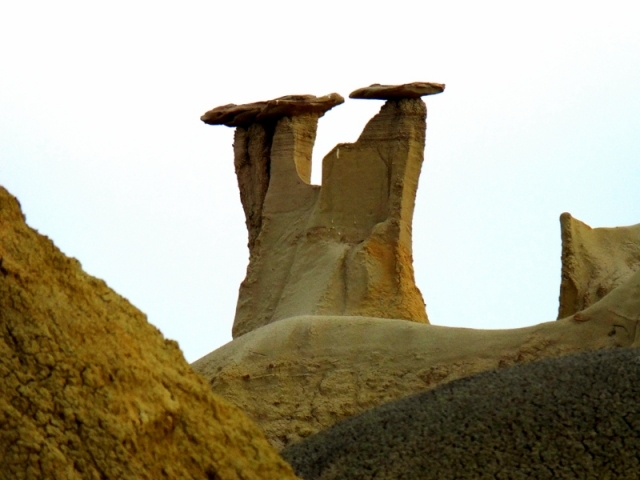 A goal I had in mind was to find a formation I had seen pictures of called King of Wings — a hoodoo with a long, wing-like extension that appears to defy gravity. 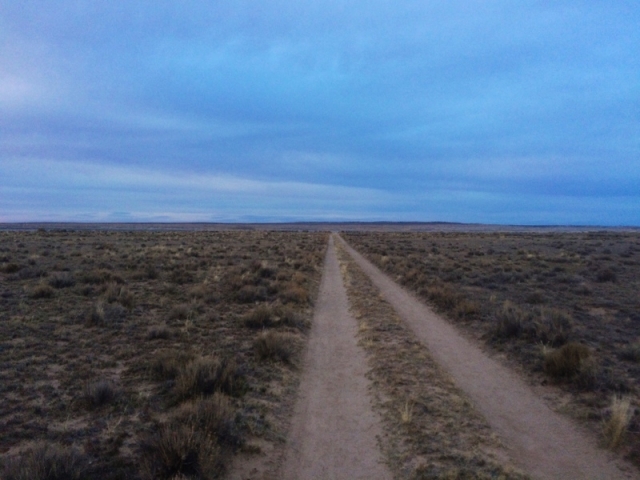 I didn’t find a pathway going to it — I used compass coordinates to find it — although I found a reasonably follow-able route coming back out. 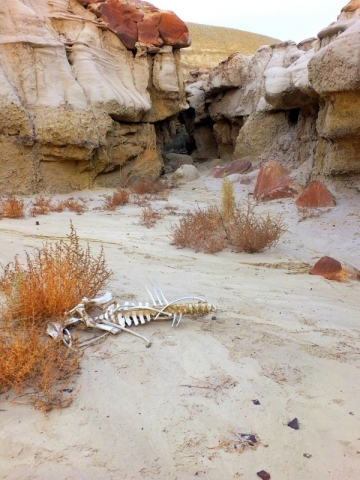 I prayed that would come out somewhere near where I had parked the car. 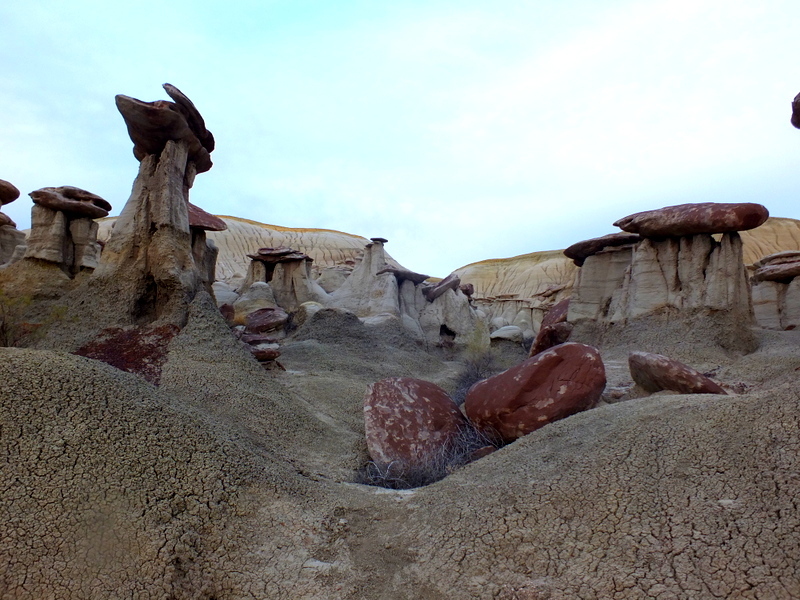 Following is a photo gallery from the hike in these crazy lands. 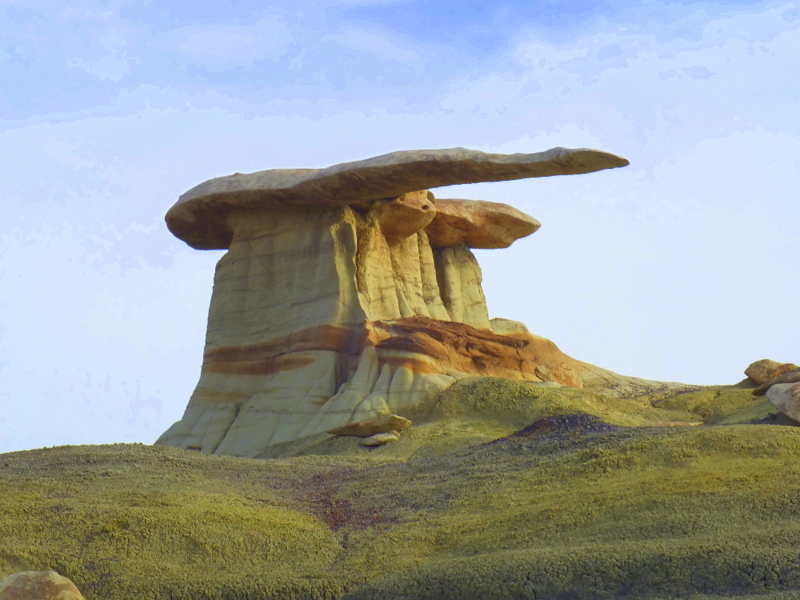 Clicking on any photo will enlarge it and open a scroll-able slideshow of larger images.